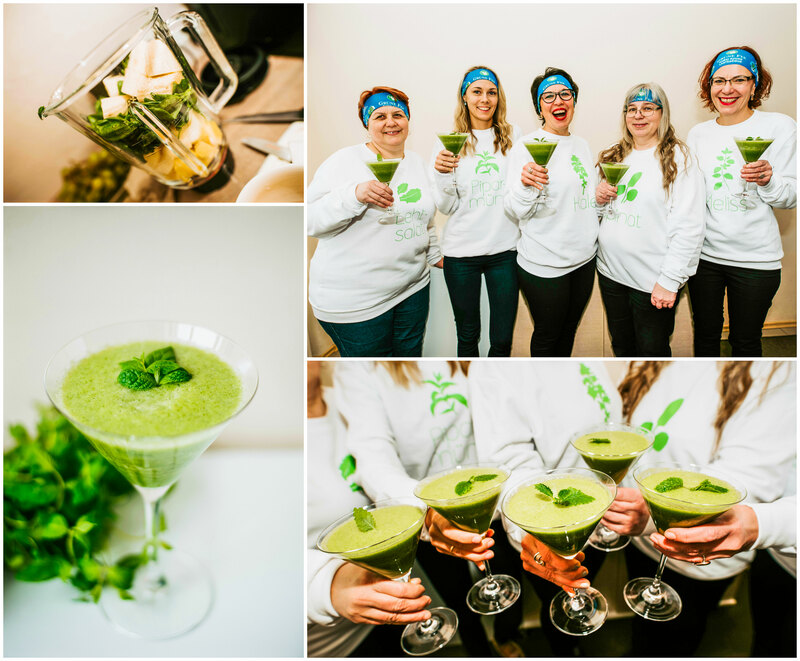 During the month of the 100th birthday of the Republic of Estonia, Grüne Fee’s women’s team Smuutimutid is participating in the Green Smoothie Challenge. As a result, our smoothierinas will be preparing one delicious must-try green smoothie each day. All smoothie recipes will be posted on Grüne Fee’s Facebook page, where you will be able to check them out and try them out for yourself. Of course, we also invite everyone to join us in taking part in the Green Smoothie Challenge. A green smoothie is any smoothie containing at least one ingredient that is a green vegetable or leafy plant. Note that the smoothie itself does not actually need to be green in colour. Adding dark berries, such as blueberries, will turn the smoothie purple, while adding cocoa will make it chocolate brown. Feel free to use any berries, fruits, vegetables, nuts, seeds, and all varieties of superfoods in your smoothie – let your imagination run wild! Note! One more thing to bear in mind: a proper green smoothie should not contain any refined sugar! If you want to make a heartier smoothie using dairy, use kefir, plain yoghurt or other fermented dairy products. Join the challenge, prepare one green smoothie each day, and in addition to improved health, you might win a number of cool prizes! Sign up here: www.triinutoidumaailm.ee/rohesmuuti-valjakutse/.